Ticketing &Tour Operations Coordinator full time for a new concept in Tyre. -Ensure all-important details are gathered to put together an itinerary. -Arrange, confirm &modify flight , hotel, restaurant, transportation.. reservations. Prior to each trip, organise all materials &coordinates& follow up after. Technical skills including computer & internet. A passion for travel planning & a strong desire to learn &grow. Is equally productive as an individual or as part of a team. Flexible to work different shifts & Travel when needed. Salary: Negotiable depending on experience and input. Waiter/Cashier full time for a new concept in Tyre. We Offer a wide range of design services for Lebanon and abroad. Logo Design: A logo is a graphic mark, emblem, or symbol used to aid and promote public identification and recognition. Brand Identity: The visible elements of a brand (such as colors, design, logotype, name, symbol) that together identify and distinguish the brand in the consumers’ mind. 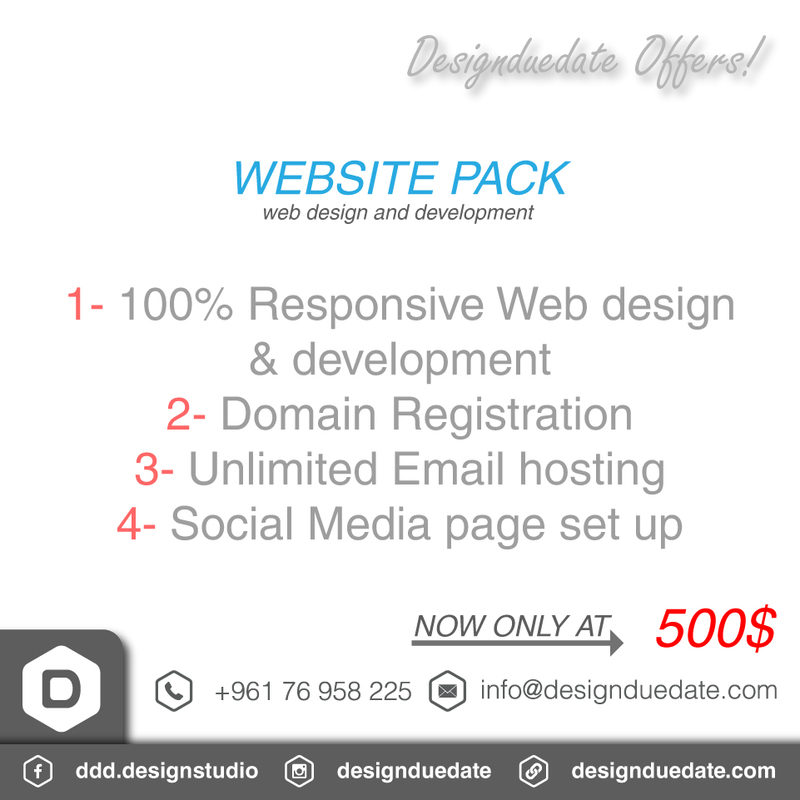 Web design and hosting: a set of related web pages located under a single domain name. Some countries say it’s the law for non-native drivers to have one, while others simply recommend it to help break down communication barriers. “The real value of it isn’t so much from a legal standpoint, but it’s really in case something were to happen—you’re pulled over for a driving infraction, or there’s an accident, or something goes awry—and you don’t have an international driving permit, [the police] may not be able to communicate effectively with you. A new website done by designduedate. Lately many of the Lebanese individuals went to jail because they wrote a post about a truth or they expressed themselves on social media. This was because they talked about a politician or the government or any other topic that is claimed as a sensitive one in Lebanon. Plus a lot of time you go to restaurants, banks, or any big company and they treat you wrong. You do a complaint and nothing happen, you write a review and then they delete it, you even go to TV/ radio station and they shut the story down in few days. You even can search for it in years from now through the search tab. Bruno Khater earned the digital google certificate! I have a clear understanding of the core concepts of digital marketing, selling online, advertising, and much more. I have a strong digital skills and I am always motivated to learn new stuff. That is well shown through spending more than one month learning and getting this certification from google with a 98/100 grade. عقدت نقابة «مخرجي الصحافة ومصممي الغرافيك» جمعيتها العمومية في دار نقابة المحررين لإنتخاب ١٢ عضواً لمجلس النقابة انتهت مدة ولايتهم، بحضور نبيل اسبر ممثل وزارة العمل. عند التاسعة صباحآ بدأت العملية الانتخابية واستمرت حتى الساعة الثانية بعد الظهر اكتمل خلالها النصاب القانوني للجمعية واسفرت نتائجها عن فوز كل من السادة: علي محمد كمال الدين،ارنست فرنسيس بعقليني، باتريك جوزيف ناكوزي، فادي مسعود خطار، ناصر فيصل قواص، هشام سليم الناطور، هبا الياس الكلاس، رحـاب عصام ذبـيـان، نسرين حسن الأمين، كارين علي شريم، رشا جهاد الشوفي، فانسان سامي الخوري بالتزكية. بعدها القى النقيب الجديد علي كمال الدين كلمة دعى خلالها الى تكاتف وتضافر الجهود لمتابعة مسيرة الزملاء الذين سبقوه على رأس هذه النقابة مطلقاً عدداً من المشاريع التي ينوى تنفيذها لا سيما العمل بشكل حثيث وجاد على شراء مقر للنقابة وهو الهدف الاساس الذي سوف نعمل عليه في المرحلة القادمة. and stay updated with our monthly offers!